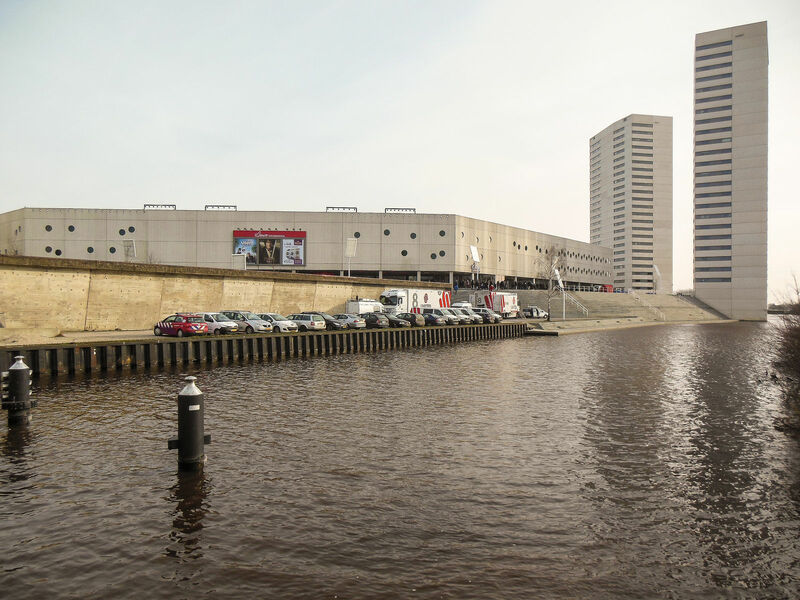 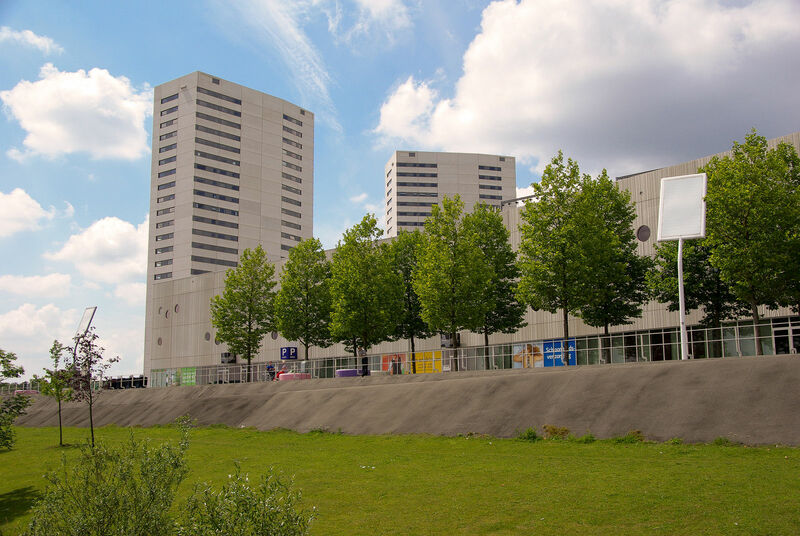 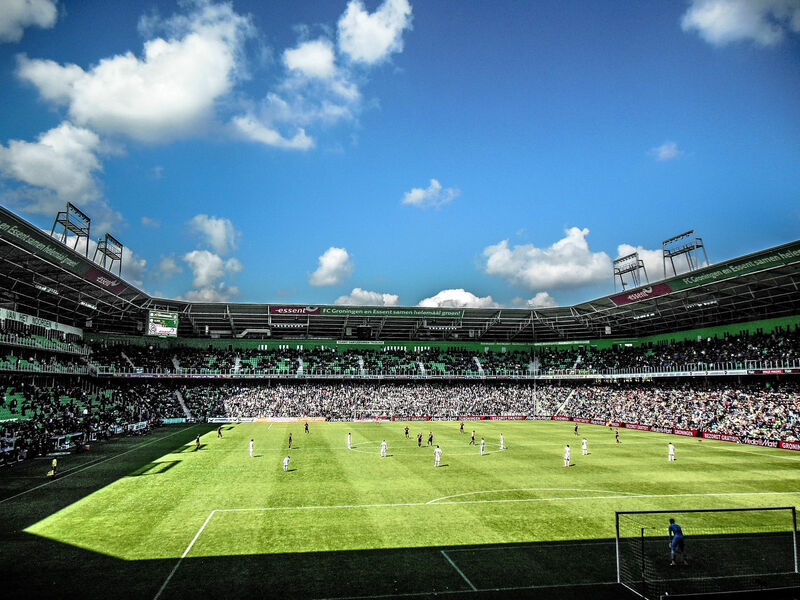 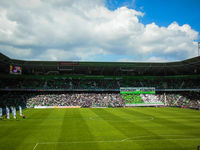 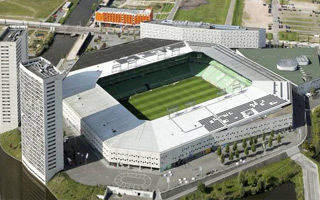 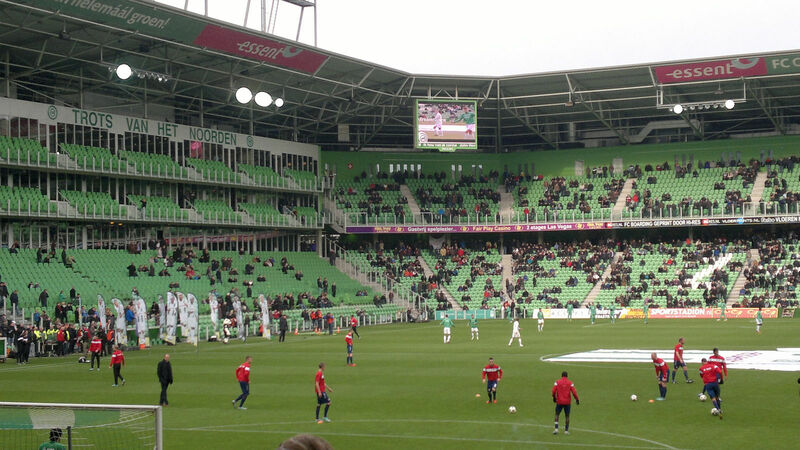 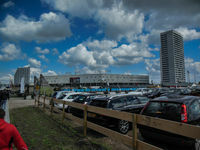 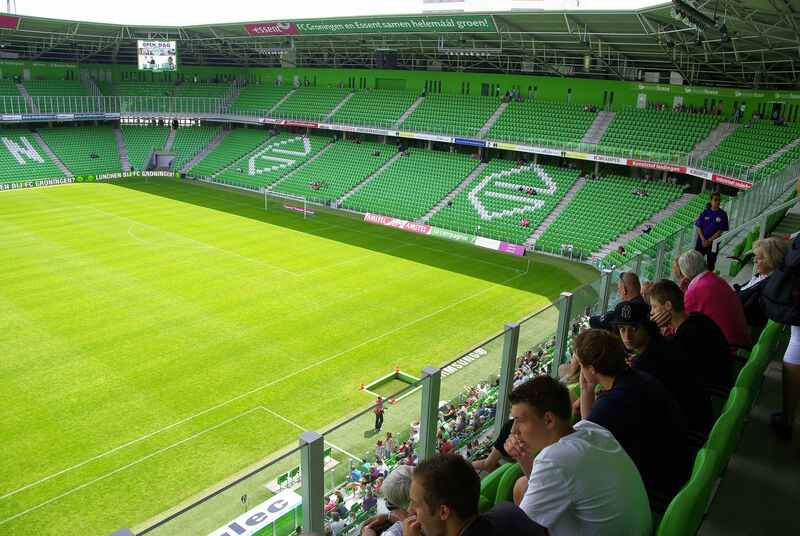 Plans of building a new stadium in Groningen came in 1990s, when the existing Oosterparkstadion wasn't fit to meet modern requirements any more. 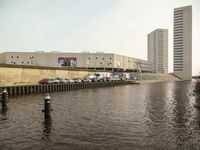 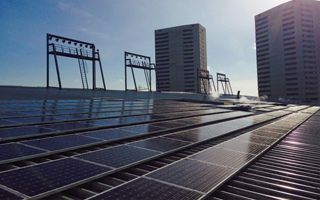 Due to small space for expansion, a new site was chosen in the south-eastern side of the city, where power plant used to stand before. 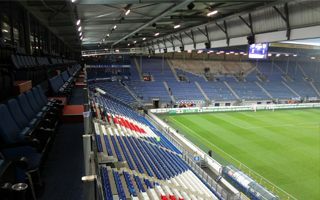 Wiel Arets was hired to design the stadium, which initially was intended to have a retractable roof. Later, due to budget constraints, the plan was downsized. 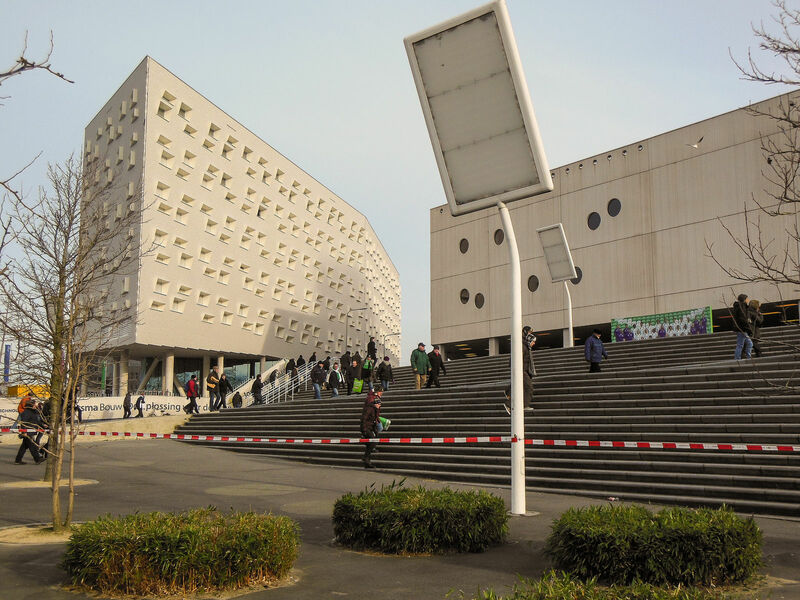 Along with ESTE architects Arets incorporated a school, cinema and casino, all with extensive underground parking facilities for over 1,000 vehicles. 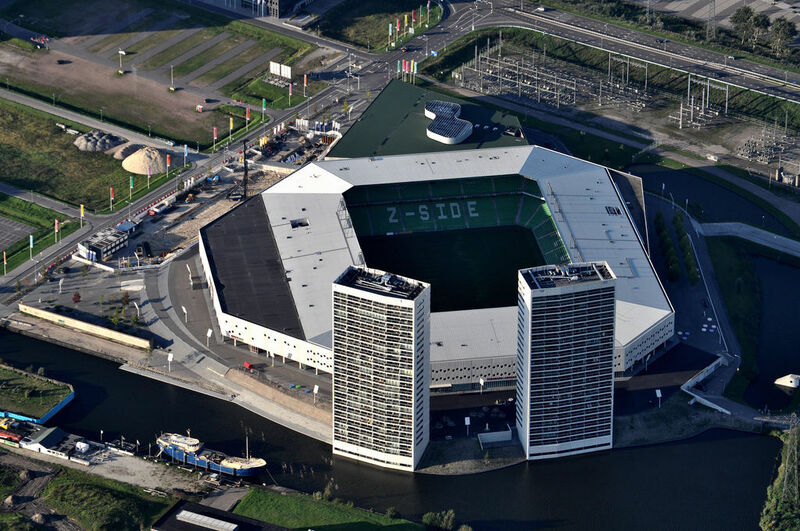 Aside from the €45.5 million stadium two high-rise buildings and a commercial outlet were planned, together priced at € 160 million. All of the buildings have calm and 'cold' cladding of architectural concrete with minor decorations. 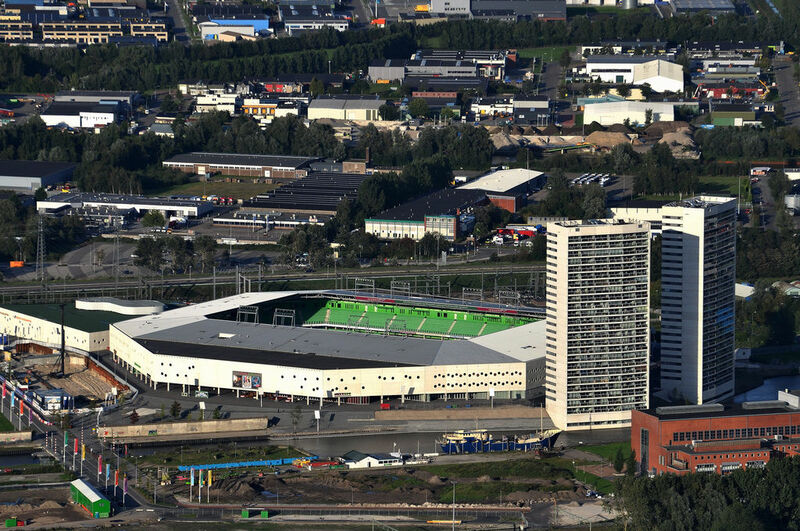 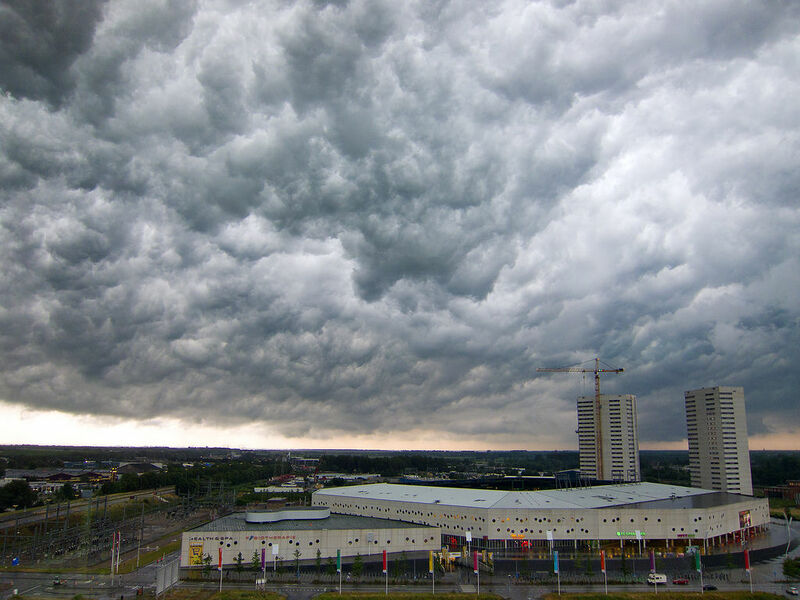 The name is an amalgamation of Europa-Park zone and borg (castle), originating from the contractor's name Bouborg (later Ballast-Nedam) and also corresponding to the stadium's location on a hill partly surrounded by water canals. 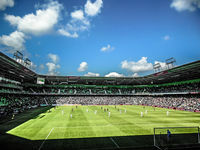 In 2004 construction began on the stadium and was to end in mid-2005. 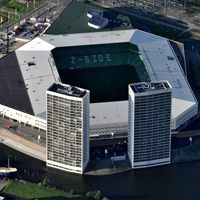 Then remaining buildings were to be done. 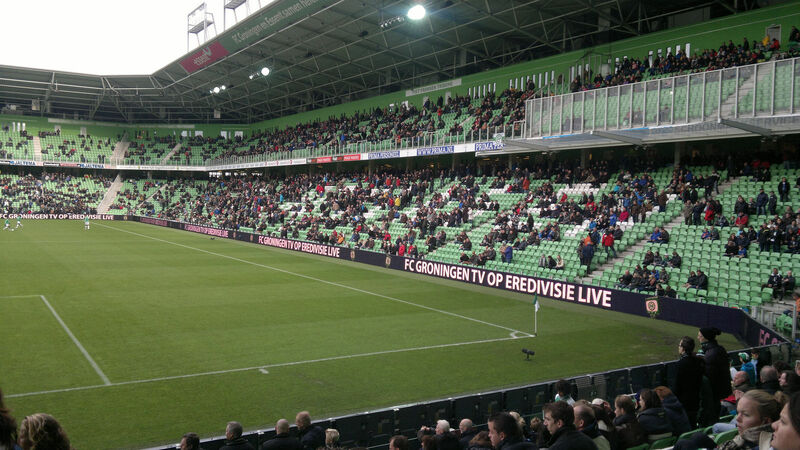 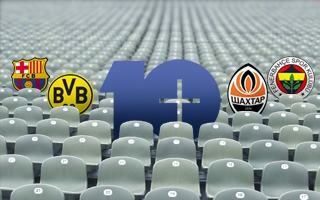 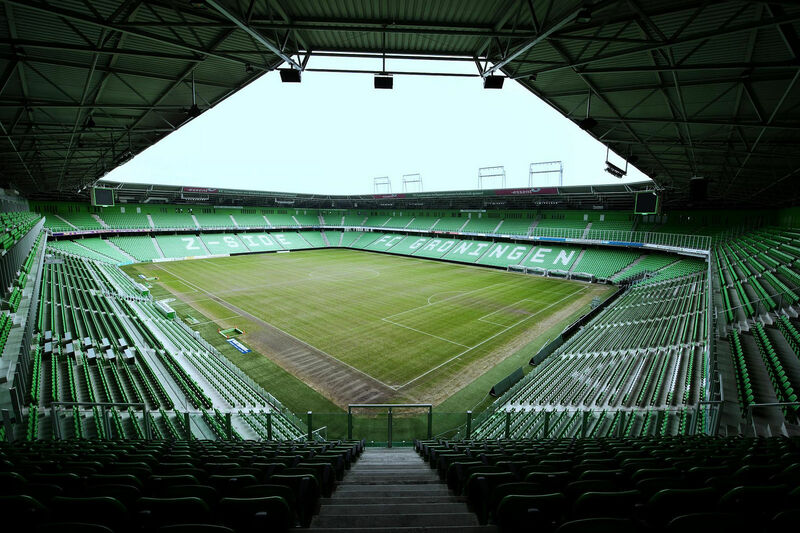 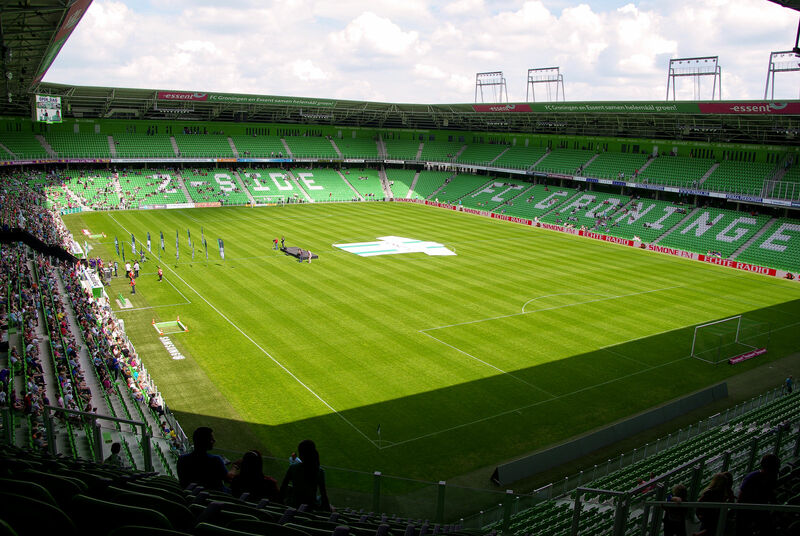 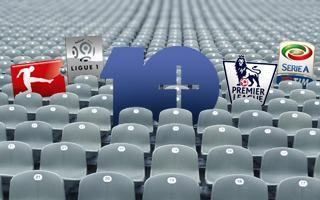 However, after half a year of delays the stadium was only opened in January 2006 by footballer Arjen Robben. 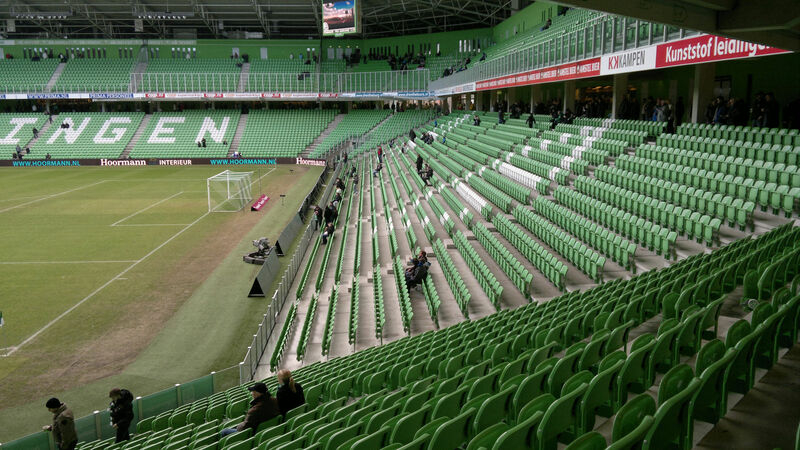 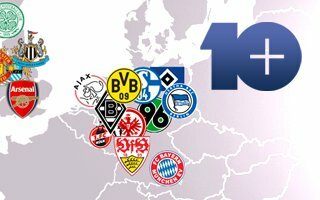 In the future it's possible to expand Euroborg up to some 33,000-35,000 by adding an extra tier of seating over the two existing ones.